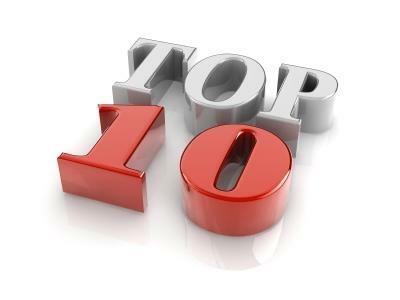 The year is flying by - it's another Friday, and that means another Top Ten run-down. Perhaps the biggest story this week was that Novartis found itself at the centre of controversy again, as it emerged that the company had paid a massive $1.2 million to Donald Trump's lawyer Michael Cohen in the hopes of meeting the President to gain some insight into the direction his administration would be likely to move in. But things didn't go to plan. However, the most popular story with our readers this week was actually the news that UK MPs are again calling for priority of the pharma industry in Brexit discussions, demanding that the UK be aligned as close as possible to European operations when the time comes to exit the Union. Patient-reported outcomes are becoming increasingly respected and valued by clinical professionals in the pursuit of improving treatment outcomes, but their evolution is not a smooth-sailing affair, as Matt Fellows uncovers. Ipsen has revealed that it has received approval for the use of Cabometyx for first-line use in patients with advanced renal cell carcinoma. President Trump’s speech on Friday afternoon had been long-anticipated, ever since he was elected and then hammered the pharma industry with talk over how it was “getting away with murder”. Researchers from Imperial College London have discovered how to interfere with one of the building blocks that allows the common cold to replicate rapidly in the human body. The FDA has noted a number of failings at a plant in Gujarat, India, but mostly significantly was the finding that the company had failed to test for diethylene glycol in the components of its drugs. After posting its financials from 2017 and its guidance for the year to come, it’s clear to see why Takeda needed to inject some growth into the company through its mega-merger with Shire. The saga of Novartis’ ill-advised $1.2 million deal with US President Donald Trump’s lawyer Michael Cohen continues to unfold as it emerges that company’s top legal figure, General Counsel Felix Ehrat, has retired from his role in response to the scandal. A new report published by the Business, Energy and Industrial Strategy Committee has called for the UK government to ensure that the pharmaceutical industry is aligned as closely as possible to European regulation post-Brexit.